Set sail aboard this beautiful Beneteau 57 that is available to charter in Athens, Greece. Suitable for parties of up to 9 guests, this crewed yacht has everything you need for a dream sailing holiday spent exploring the Greek islands and Athenian Riviera. The nearly 18 meter (57 foot) yacht features an incredible deck with a large swimming platform to enjoy a day spent under the sun in Greece’s tranquil coves and picturesque beaches. The crew, who is knowledgeable in Greek history and culture, will take you to some of Greece’s famous destinations as well as bays that are well under the radar. 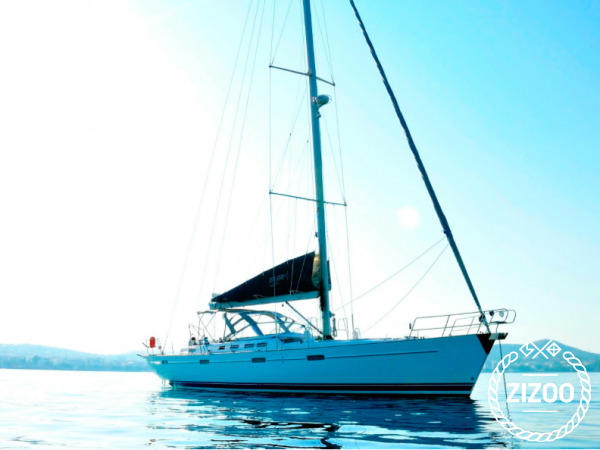 Don’t wait, book this crewed Beneteau 57 in Greece today. Cooler than staying at a hotel! Waking up in the morning and taking an early bath is priceless. Dank Zizoo hatten wir ein paar sehr schöne Tage auf See. Wir haben uns die ganze ZEit gut umsorgt gefühlt, die Crew war klasse.